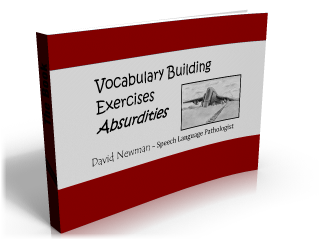 Today, I'm pleased to present a new, free download: Vocabulary Activities - Absurdities. The program can be accessed on the webpage Activities for Teaching Vocabulary. The program features over 100 attention generating scenarios that present your students with bizarre and humorous situations.